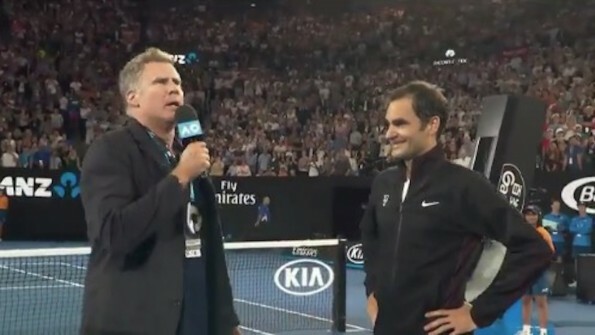 It’s been a while since we’ve talked about a Will Ferrell cameo at a sporting event, but that streak ends today after the comedian made an appearance at the Australian Open. After Roger Federer made quick work of Aljaz Bedene during his first round match, 6-3, 6-4, 6-3, the No. 2 ranked player was faced with his toughest task of the evening when he had to field some rather awkward questions from Ferrell.